Very good to hear from you with your interesting dreams and questions. I think your questions represent those that many have today. I don't know if I can answer them to your satisfaction, but here is how I look at them myself. You write: "I don't think there is a good reason to believe in Jesus as the Christ because the accounts of him are historically non-convincing for two reasons (a) these are not his accounts but accounts of him from flawed men..."
This comment seems to assume that we cannot believe in Jesus without "good reasons" and without evidence that is "historically reliable". It also seems to assume that we would be better off with writings directly from Jesus himself rather than from his followers, who were flawed like the rest of us. I can see that this line of thinking seems reasonable. I don't think it is sufficient, however. First, there is the question of what it would be "reasonable" for someone to believe. Although good reasons can actually be given of the kind you seem to be seeking (more on that in a moment), I don't think any such reasons, by themselves, would ever be enough for someone to have faith in Christ. This is a very important point to which I will need to return, because it has to do with the nature of faith. Here I am commenting somewhat more on the nature of reason. Even the best of reasons, I am saying, would be insufficient. That is because believing in Christ is not just the same as believing that Caesar crossed the Rubicon. Although there is certainly an element of historical fact at stake in Christian belief, knowledge of historical facts is knowledge of a particular kind. It never gets us beyond the weighing of probabilities. Christian belief does not fall into that category. It does not finally come down to probability assessments. Second, at the level of historical probabilities, I think the Christian faith has to meet a minimal standard, but only a minimal standard. Although it involves historical elements, faith also involves elements that do not fit neatly into the category of "history". The historical aspects are not unimportant, however. The minimal standard that needs to be met is that these historical aspects or (often implicit) historical claims cannot be shown to have been decisively disproved. If it could be shown, for example, that Jesus did not die on a cross but instead in an old age home in Palestine or that his body still lies a-mouldering in the tomb, I think that would count as decisive disproof. I think it is reasonable to conclude, however, that attempts of this kind, which over the last 250 years have been legion, have not been successful. Christ's resurrection could theoretically be disproved by historical evidence, but it could not be proven on historical grounds alone, because, in the nature of the case, it confronts us with something more than a merely historical claim — something much more terrifying and radical. In the end I think the historical evidence remains ambiguous and inconclusive, taken as a whole. There is not a lot of data to go on, which allows the evidence to be read either positively or negatively. Positively, certain lines of plausibility can be established for the "factual" claims of the gospel on historical grounds, but negatively, on the other hand, these lines of reasoning are always open to challenge and doubt. There is, again, not enough evidence to work with one way or the other that would allow us to come to unshakable historical conclusions. Nevertheless, a strong historical case can indeed be made in favor of Christ's resurrection, for example, but not one that I think is beyond "reasonable" doubt. Reason, in any case, reaches its categorical limit here. Affirming or denying Christ's resurrection — or better, affirming or denying the Risen Christ — is well beyond the competency of mere reason. Let me mention two recent scholarly works, one by Richard Bauckham, the other by N. T. Wright. In his very intriguing book Jesus and the Eyewitnesses (2008, 540 pp. ), Bauckham makes a strong case for the general reliability of the gospels. I don't think the case is as iron-clad as he does, but I do regard it as impressive. Bauckham presents a very strong and learned argument that, contrary to much modern scholarship, the gospels did not arise very long after the fact. N. T. Wright's The Resurrection of the Son of God (2003) is an even more massive tome (750 pp.). Every NT passage on Christ's resurrection is analyzed scrupulously for its historical reliability. I think Wright finally overstates his case, even more so than Bauckham does his. Nevertheless, again, I think that even with a more nuanced assessment of his findings, this is a formidable achievement. A more popular but still scholarly work would be Fabricating Jesus: How Modern Scholars Distort the Gospels (2008) by Craig A. Evans (290 pp.). I again have the same kinds of reservations. In other words, I don't reject his arguments out of hand but I take them with a grain of salt. They are impressive but inconclusive, though they show why the minimal standard that I set forth earlier has actually been met, and more than met. An older work that still holds up fairly well, I think, would be F. F. Bruce, The New Testament Documents: Are They Reliable? (85 pp.). This well-written little book, which first appeared around 1960, has recently been reissued. I read it as an undergraduate. The point is not that works like these have knock-down arguments. They don't. Knock-down arguments in this world are rare. The point is rather that the historical claims of the gospel are susceptible to a respectable defense. Again, however, I think that in the end these kinds of considerations are only secondary, and are at best merely preliminary. You also write: "Furthermore (b) these stories are not necessarily trustworthy. Did they remember wrong? Were they even there? Even if they remembered right (how could they after so long?) and were actually there, did they misinterpret Jesus (of course, we know from their own accounts that they consistently did)." What I am trying to suggest is that everything finally depends on what kind of documents the gospels and other NT writings are. They are not really historical reports. They do not fall into the category of report but rather into the category of witness. They all present themselves, in various ways, as witnesses to the Risen Christ. The picture of Jesus in the gospels, for example, represents an overlay of the Risen Christ upon the "historical" Jesus, because the point is that the historical Jesus and the Risen Christ are finally one and the same. The Christian faith is far more a matter of radical conversion than it is of rational persuasion. The claim that a marginal Jew who was put to death on a cross should have been raised from the dead so that he now reigns as Lord and Savior is never going to be plausible to rational or evidential considerations. It is always going to be foolishness, as Paul himself confessed: "For Jews demand signs and Greeks seek wisdom, but we preach Christ crucified, a stumbling block to Jews and folly to Gentiles, but to those who are called, both Jews and Greeks, Christ the power of God and the wisdom of God. For the foolishness of God is wiser than men, and the weakness of God is stronger than men" (1 Cor. 1:22-25). 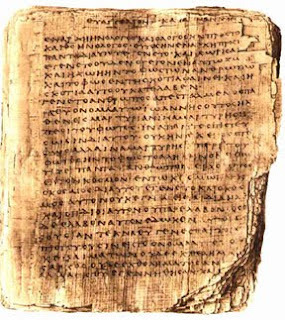 The NT cannot be read intelligently unless it is read as a spiritual book, as opposed to a merely historical document. The truth to which it bears witness necessarily transcends every ordinary rational mode of perception. Unless the doors of perception are opened, and we begin thinking in a whole new framework, it will never make any sense. It is finally not we who read the NT, but the NT that reads us. It calls us and our detached role as would-be authoritative, evidence-weighing spectators radically into question. That is why it is so dangerous. Many of those original "unreliable" witnesses to the resurrection of Christ, like Peter and Paul, went to their brutal deaths as martyrs. "When Christ calls a man," wrote Bonhoeffer, "he bids him come and die." No one who is not willing to take this risk should venture to read the NT. But many of those who have turned to it spiritually have found, throughout the centuries, that they end up saying with Peter: "Lord, to whom shall we go? You have the words of eternal life" (Jn. 6:68). I suggest that you might want to read the opening chapters in The Cost of Discipleship by Dietrich Bonhoeffer.